India on Wednesday made its way into an elite club of "space super powers" as its anti-satellite missile A-SAT shot down a live satellite on a low earth orbit, at a distance of 30 km, in just three minutes. So far only three countries - the US, Russia and China -- had this technology. 'Mission Shakti' is a breakthrough in technology and the country has demonstrated its capability to interdict and intercept a satellite in outer space based on indigenous technology, said experts. An External Affairs Ministry statement said the target satellite was one of India's existing satellites operating in lower orbit. "The test was fully successful and achieved all parameters as per plans. The test required an extremely high degree of precision and technical capability. The significance of the test is that India has tested and successfully demonstrated its capability to interdict and intercept a satellite in outer space based on complete indigenous technology," it said. "The capability achieved through the A-SAT test provides credible deterrence against threats to our growing space-based assets from long range missiles, and proliferation in the types and numbers of missiles," it said. In an interview, former Isro Chairman, G Madhavan Nair said that China, USA and Russia have already demonstrated their capability. India has conducted the satellite test with all safety precautions. "This is a breakthrough in technology," he added. Ratan Shrivastava, advisor (space division), Federation of Indian Chambers of Commerce and Industry (FICCI) said that for India to develop the capability of ASAT through "Mission Shakti" is a strategic weapon, which can be used in to intercept and interdict, deny and destroy the ability of the enemy to use their space based systems for gathering intelligence, military applications and deny the use of satellites and other spacecrafts as a platform for any offensive operations against India by targeting the adversary country's surveillance, communication and military satellites. It assumes importance as there is a vital need to have deterrence in the vital fourth dimension of space to safeguard and defend the country's considerable space assets - and deny the enemy nation access to space assets against India. ASATs can render the enemy navigation and communication systems useless. India has had a robust missile defense program and it is a signatory to all the major treaties in relation to outer space through UN Space Committee and others. "The military potential of satellites are several – such as surveillance, communications, navigation, early warning and can provide for continuous intelligence and monitoring adding the vital fourth dimension as a credible deterrent and a force multiplier, in addition to the Land, Sea and Air, in case of a conflict, specially, when long drawn out wars may give way to shorter and intense conflicts in the future," said Shrivastava. 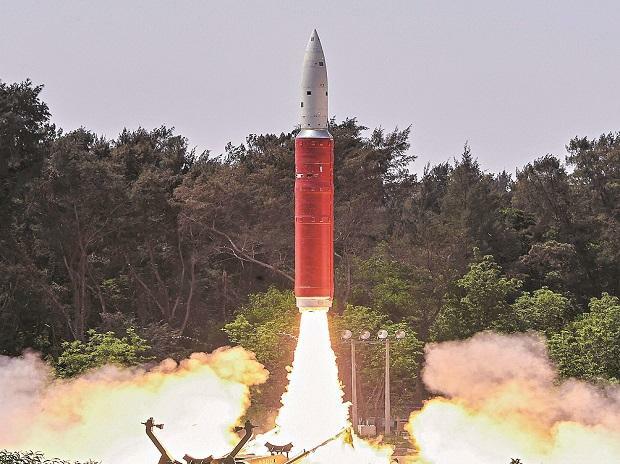 This capability will deny any adversary the use of satellites and other space-crafts, as a platform for any offensive operations against India by targeting the adversary country’s surveillance, communication and military satellites. It will also safeguard and defend India’s space assets. ASATs can render the enemy navigation and communication systems useless as a resource and platform to use their air and missile assets against India. ASAT operations are technically challenging and highly complex . The complexity of the mission can be understood by the fact that India hit a satellite orbiting at 300 kilometers above the earth, travelling at a speed of 29000 kilometers per hour – to find and locate the correct satellite, in a maze of space objects field and debris. Successfully destroying it in 3 minutes is nothing short of splendid and spectacular precision displayed by Indian scientists of ISRO and DRDO, said Shrivastava.